Central Electric now offers solar well pumping. Central Electric employees provide installation and future maintenance if needed. Digging the well and setting the pump is the responsibility of the landowner/tenant. The key components are the pump, solar panel, disconnect/generator controller, float control unit, level switch, and well cable. Other parts include the well pipe, electric connectors, boxes, wire and miscellaneous hardware for mounting. 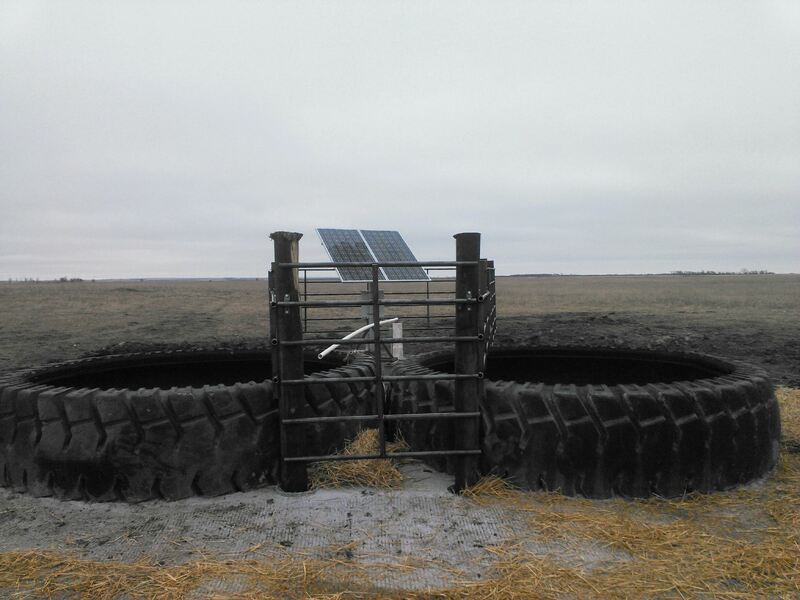 The array that holds the panels in place is mounted to a 3" metal pipe that is encased in concrete (18" diameter and 5' deep). A generator option is available for all systems. Price varies due to the design and specification of the system per the customer's needs. For more information, please fill out the Design Questionnaire and return it to Central Electric.